Many electronics recipes require Solder. In the real-world, hobby-grade solder is made of tin and lead, while ROHS-complient solder is made of tin, silver, and several other low-toxicity metals. 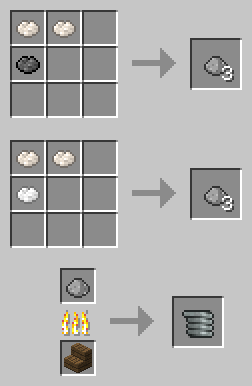 Depending on what Recipe Mode you set in Power Advantage, you may be able to use ingots of tin, lead, and silver as solder instead of crafting the Solder item. In Electric Advantage, you can make Solder Blend by combining 2 items of powdered tin with 1 item of powdered lead or silver. You then smelt the Solder Blend to make Solder.